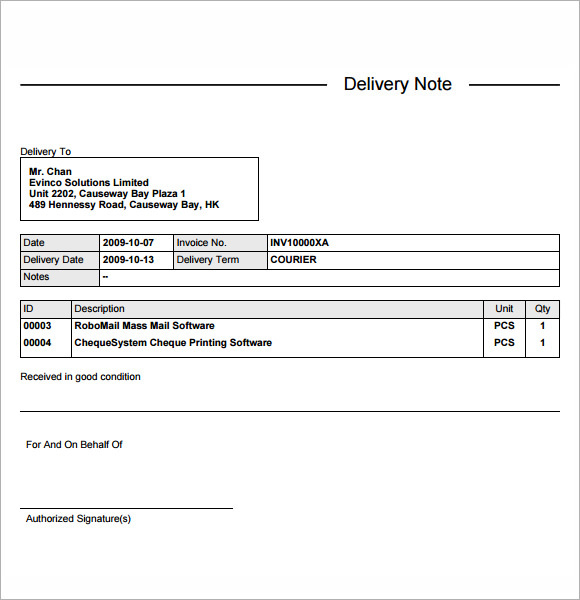 Delivery Note (DN) is a document that contains the description, unit, and quantity of the products/services included in the delivery. DN can be an accompanying document to the shipment of goods. Let’s consider some Delivery Note templates. The seller Name and Contact Details. Delivery Note helps your customers to identify your goods shipment more easily. Besides that, it has a positive impact on your company branding and your professional image.